231 Chinese students in N. Zealand on suspect visas - Integration Through Media ....! 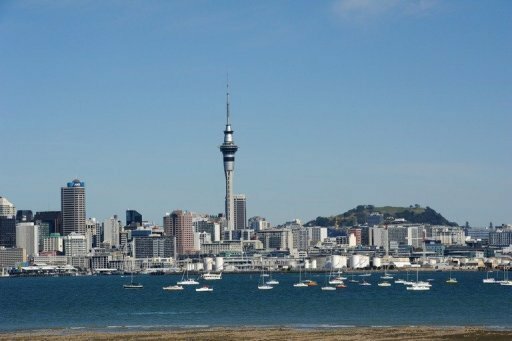 AUCKLAND (AFP): New Zealand launched a search Wednesday for hundreds of Chinese students who arrived in the country on fraudulently-obtained visas, immigration officials said. Immigration New Zealand (INZ) said an audit found almost 300 visas were issued by its Beijing office on the basis of fraudulent information and 231 of the students who received them remained in the country. The agency said the scam involved submitting fake qualifications and bank statements to INZ’s office in Beijing to obtain visas. Acting Immigration Minister Kate Wilkinson said it appeared two Chinese immigration agents, who submitted the applications on students’ behalf, were behind the fraud, but officials were checking no INZ staff were implicated. “At this stage it’s (centred on) two Chinese agents over in Beijing but obviously they dealt with Immigration New Zealand as well, so that’s certainly part of the investigation,” she told reporters. Tertiary Education Minister Steven Joyce said the students could be deported, although authorities would deal with each on case-by-case basis. Around 100,000 foreign students a year enroll to study in New Zealand, according to official data, with China the largest source, accounting for about a quarter of the total. The sector is estimated to contribute NZ$2.5 billion ($2.0 billion) a year to the economy, making it New Zealand’s fifth biggest export.